Hyperlocal digital journalism is starting to look like one of those corner restaurants that change hands every 18 months because nobody can make them work (even though everyone needs to eat). I like that metaphor. And to bring us up to date on EveryBlock. Shut down by NBC News because "it wasn't a strategic fit with our growth strategy," it's being given a new lease on life by Comcast, which owns NBC News, which owns MSNBC, which acquired EveryBlock in 2009, two years after it was launched by Adrian Holovaty. Chicago Grid reported recently that it's seen a beta version of the new site, and it looks like the same collection of neighborhood news and data as the old one. (And most new corner restaurants are variations on the old ones.) Chicago Grid said EveryBlock would probably return first to Chicago and then spread to other cities. Its first time around, the site was in 19 cities. I'm wondering if it made Tim Armstrong's day when someone asked him point-blank at last month's Online News Association conference in Washington, D.C.: "Is Patch evil?" Armstrong is CEO of AOL, and Patch is AOL's new online network of hyperlocal news sites. The case that it's evil is the usual one: too big, too heartless. Across America, Patch is supposedly strutting into town with all of AOL's financial muscle behind it to crush the real grassroots news organizations, its cat's-paws being journalists desperate for work that Patch hires for peanuts and exploits like gulag slaves. I questioned that. "Is Patch evil for being a collection of kids relocating the nation's newsrooms to suburban coffee shops? If the next time Sofia Resnick falls off her bike she doesn't hop right back up, Patch might have to answer for that. But you can't exploit someone who doesn't think she's exploited." Resnick was a young Patch staffer then fresh out of Medill and working for Patch in Northfield. She bicycled to assignments. But Resnick, even then, wasn't sure Patch made sense. "They decided to throw tons of money into this project to rejuvenate news in the community," she told me, but "it's more my generation who gets their news online, not the people they're trying to reach, like our parents and grandparents." She was gone in six months. As Carr sees it, "Both the journalism and the ad sales were hand-to-hand, a retail effort that required spending a lot of money to go after pretty small revenue." Maybe there simply is no way to make money from hyperlocal journalism. Maybe most news websites are doomed to fail, just like most restaurants, yet there will always be another because they fill a need. Chicago Grid, a creation of Wrapports LLC, the same people who own the Reader, is struggling; it launched early this year as a weekly business magazine but is now only a website. Yet the last time I visited it—to see what it had to say about EveryBlock—I found fresh evidence of the usefulness of hyperlocal journalism. 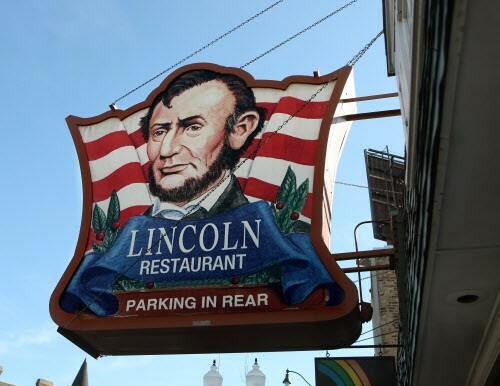 It was an article reporting the closing of the Lincoln Restaurant—which is a neighborhood joint a few doors from the busy intersection of Irving Park, Damen, and Lincoln. Many a night when I've found myself in town alone I've slid into a booth in the nearly empty dining room, opened my newspaper, plastered butter over the loaf of hot bread that comes with every meal, and whiled away an hour eating Grecian chicken. From the far side of the closed door into the next room there'd be frequent gusts of laughter—that would be the Lincoln Lodge comedy club, holding court. The food was so inexpensive I don't see how the Lincoln Restaurant could have made much money even if it had been full every evening, and it was far from that. So even though it was a fixture along Lincoln Avenue, and its closing is big news to me—and to Ben Joravsky, who's also lived in the neighborhood forever—it isn't big news to our neighbors who haven't, especially the ones who never set foot inside it. The death of the Lincoln Restaurant is little news, and even little news matters to somebody, but can anyone monetize it? Adrian Holovaty's website closes down. Is AOL's hyperlocal news network an evil slave empire or a boon to hungry journalists?